Durable 316 Cast Stainless Steel construction provide superior corrosion protection perfect for harsh environment. 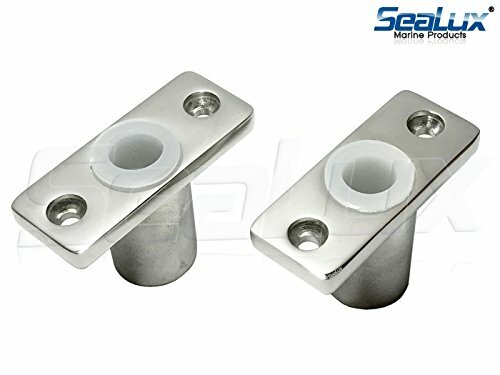 These Top Mount Oarlock/Rowlock Sockets are constructed from a Mirror Polish finish 316 Stainless Steel. Sockets are for use with 1/2 inch diameter shank oarlocks. If you have any questions about this product by SeaLux, contact us by completing and submitting the form below. If you are looking for a specif part number, please include it with your message.